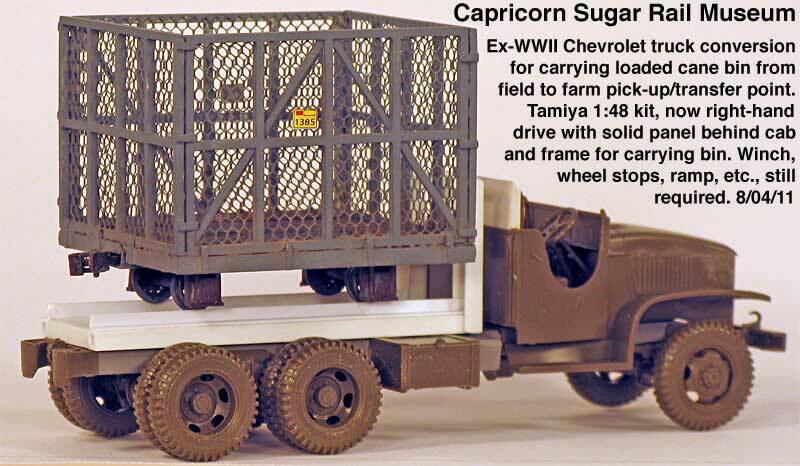 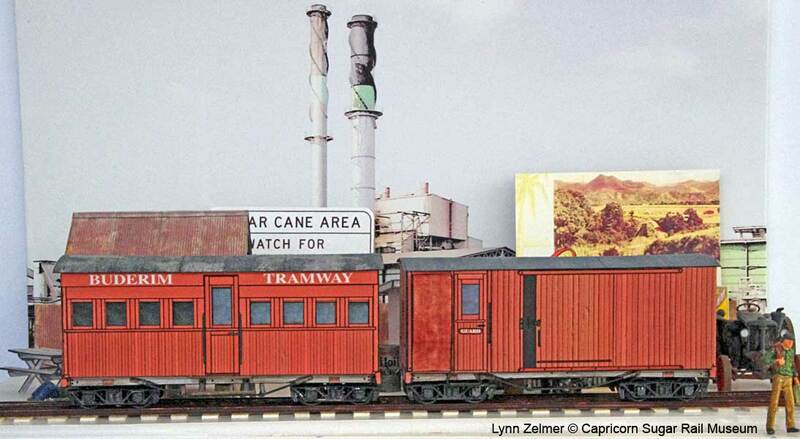 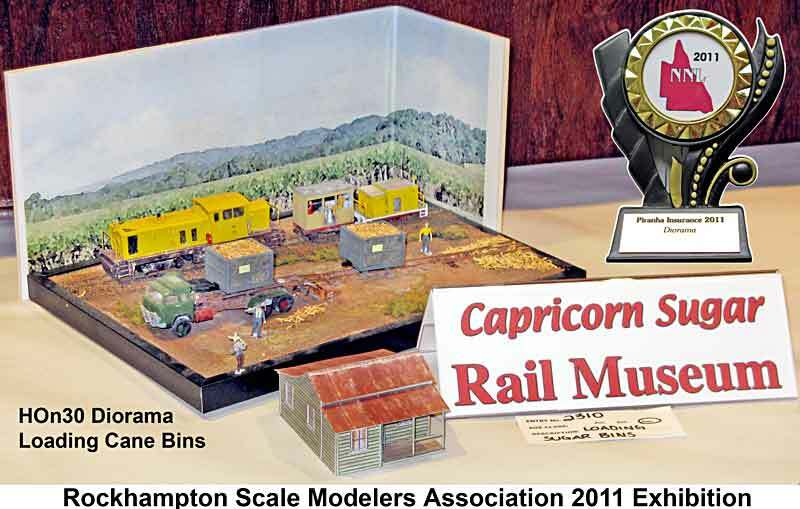 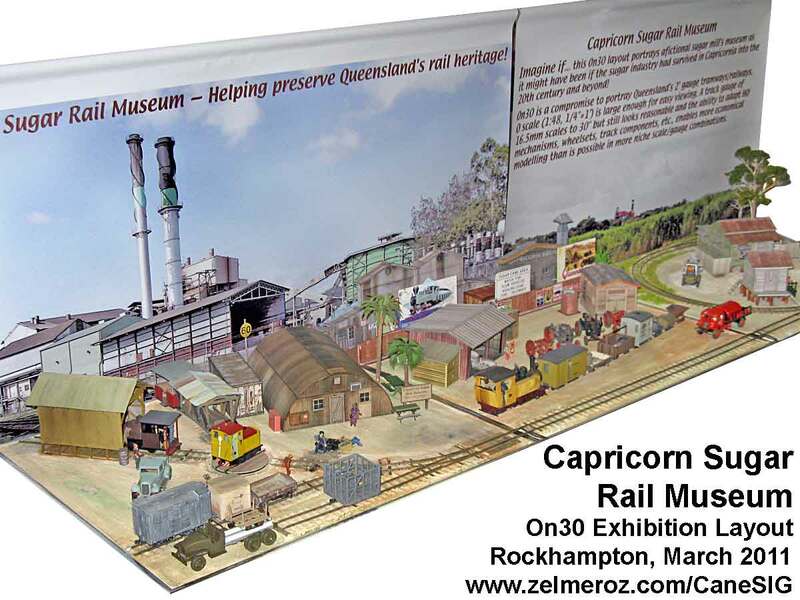 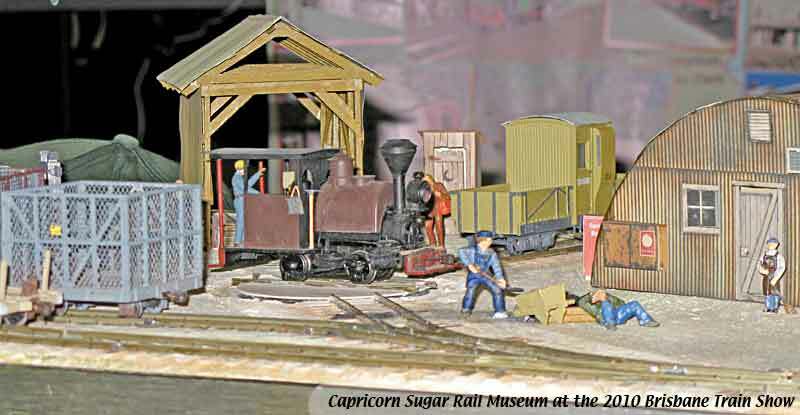 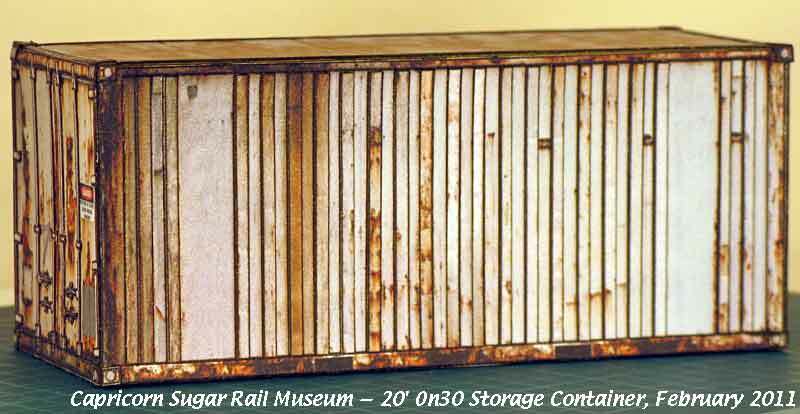 Initially Capricorn Sugar Rail (CSR) locomotives and rolling stock were HO scale (1:87) using 9mm gauge track (HOn30), thus roughly 30" gauge represent the 2' gauge of the prototype. 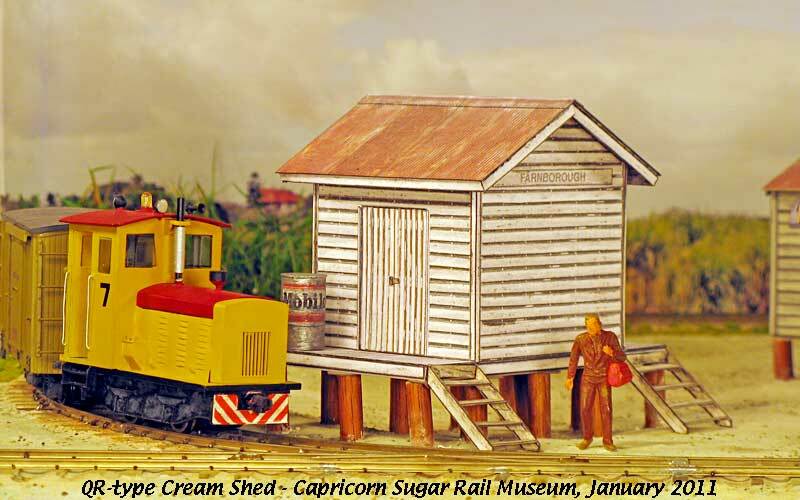 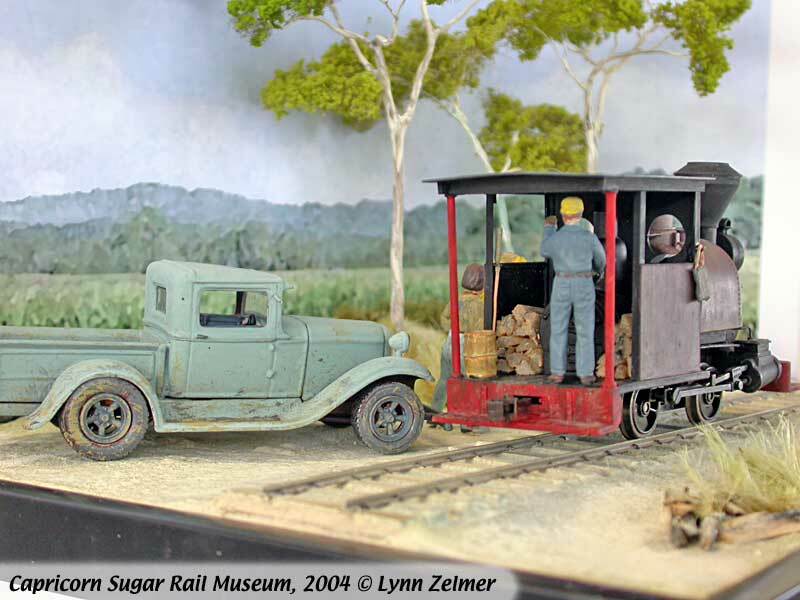 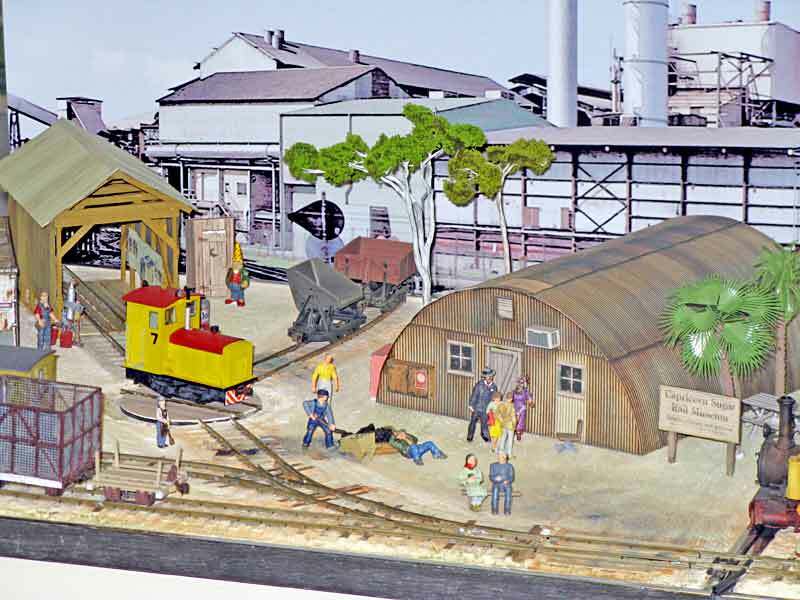 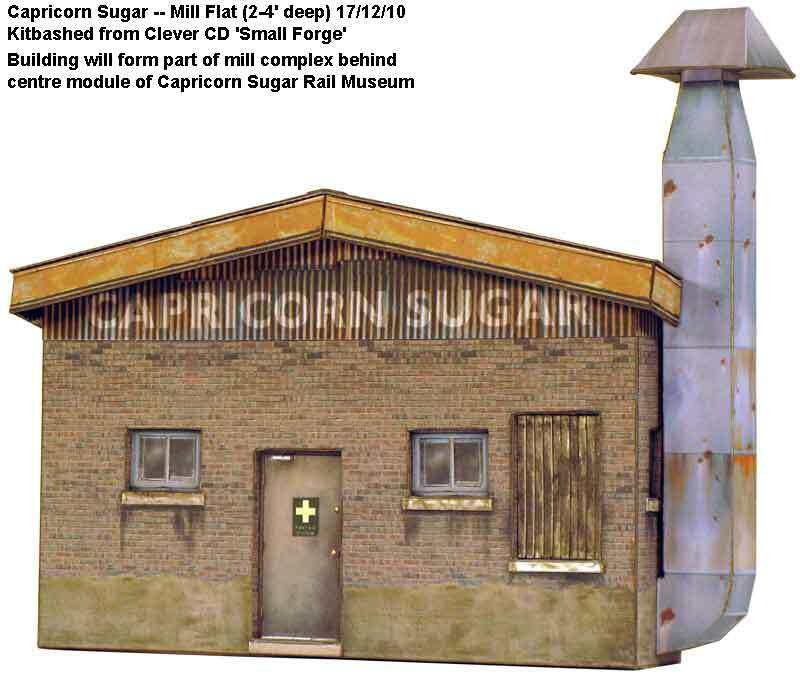 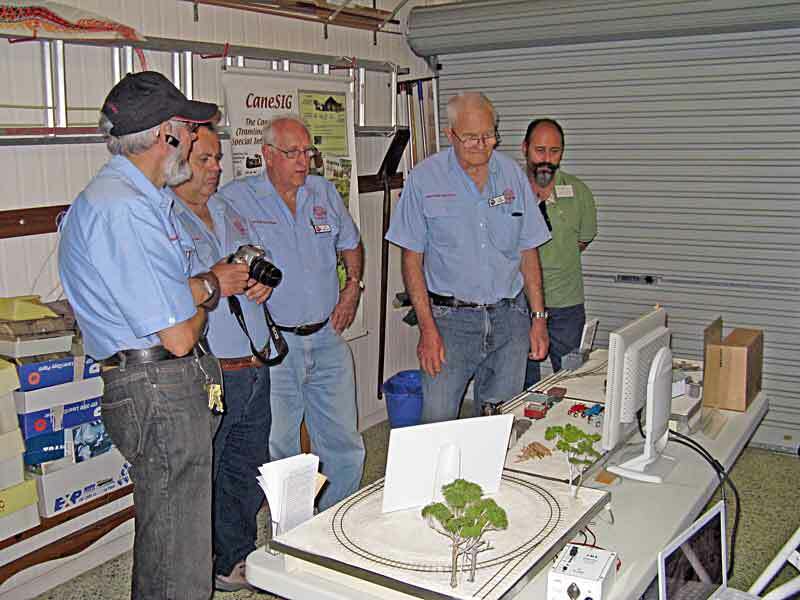 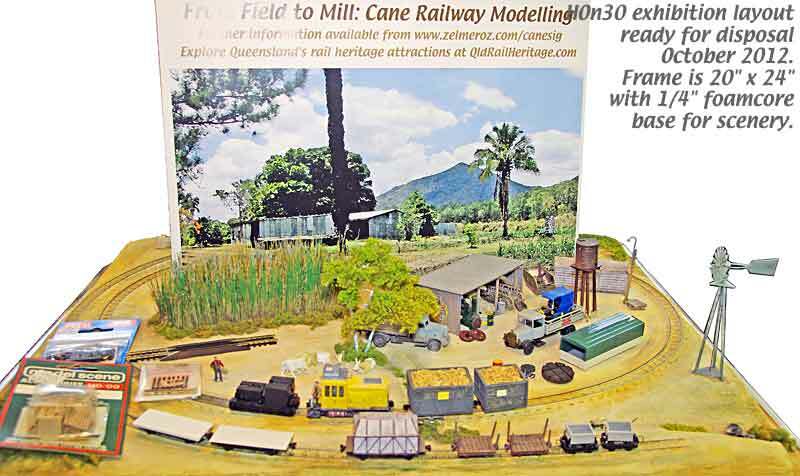 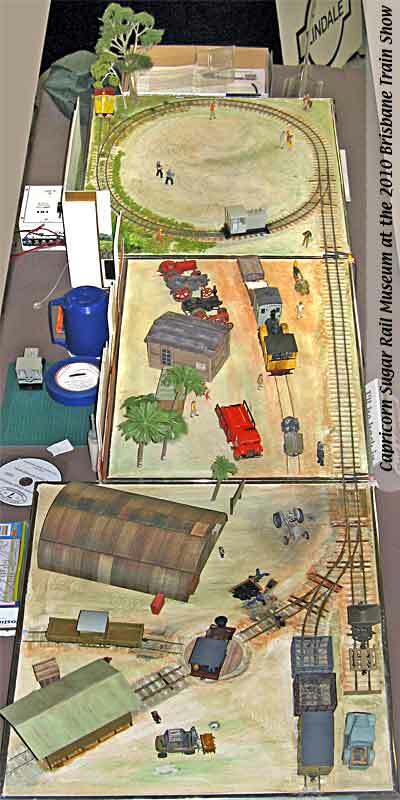 Sharp eyed observers would note that some 4mm (1:72) scale equipment has been used, acceptable in this context as much of the CSRM equipment is representative, rather than following a specific mill's practice. 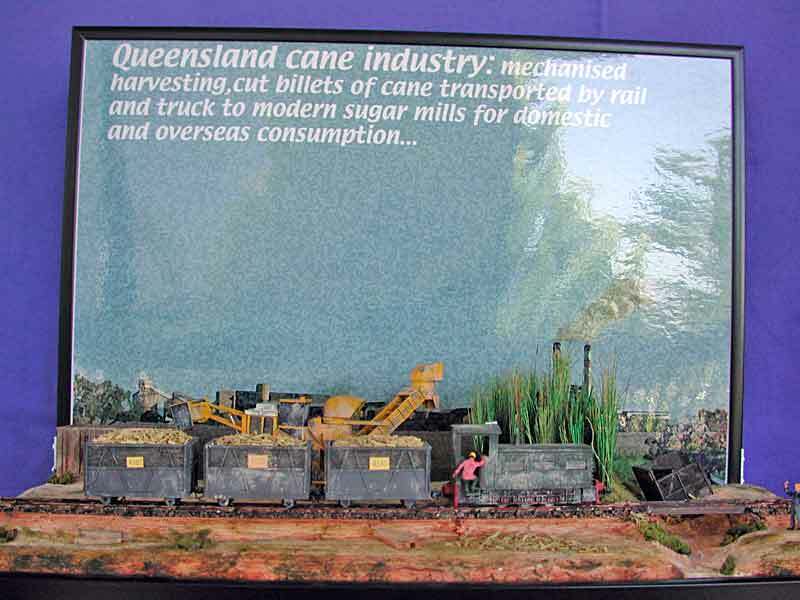 More recently models have been built in O scale (1:48) using 16.5mm track (On30), again roughly 30" gauge representing Queensland's 2' gauge tramlines. 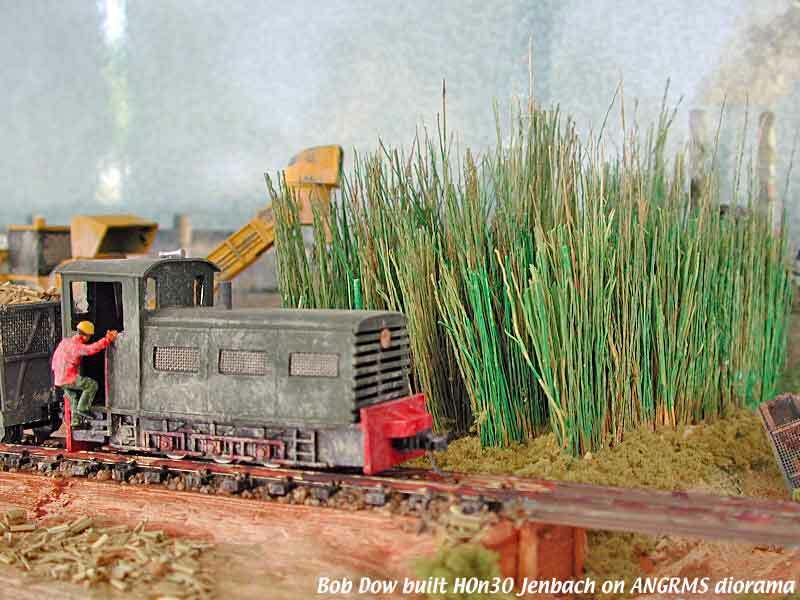 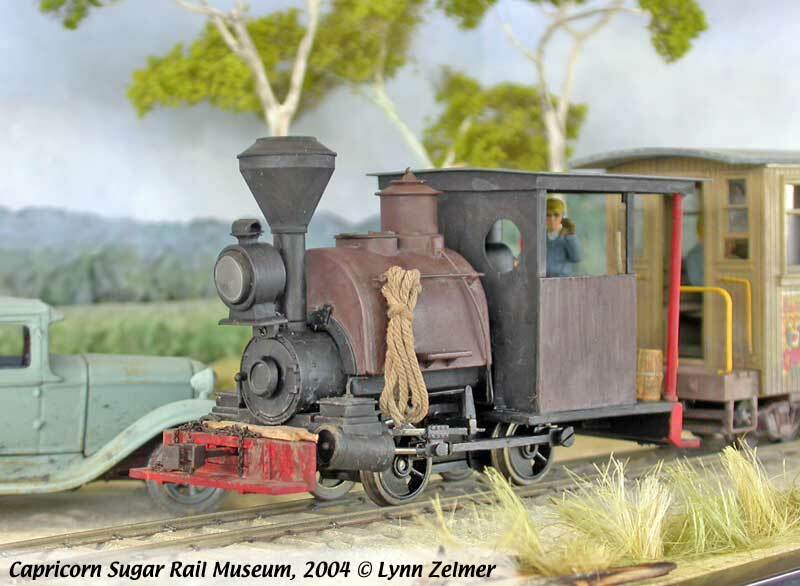 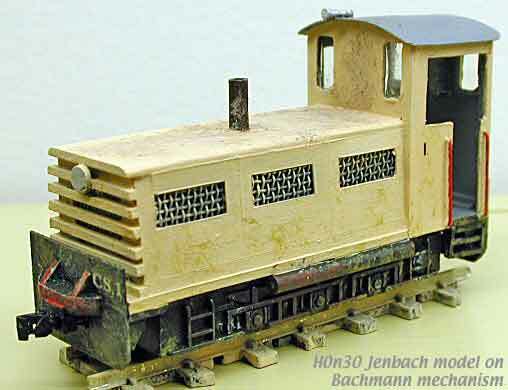 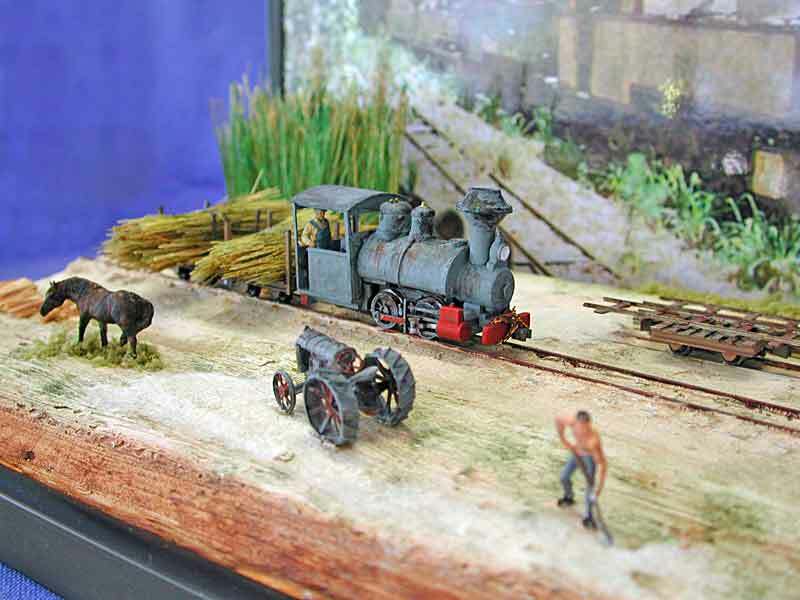 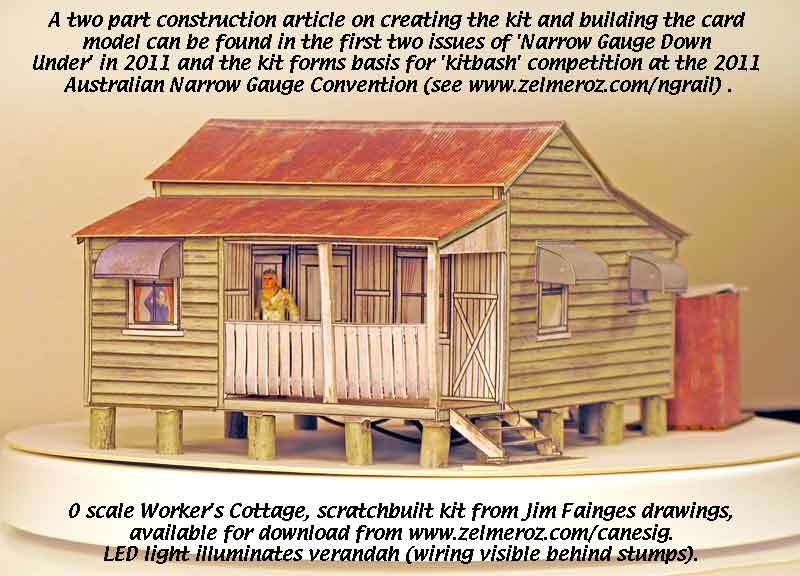 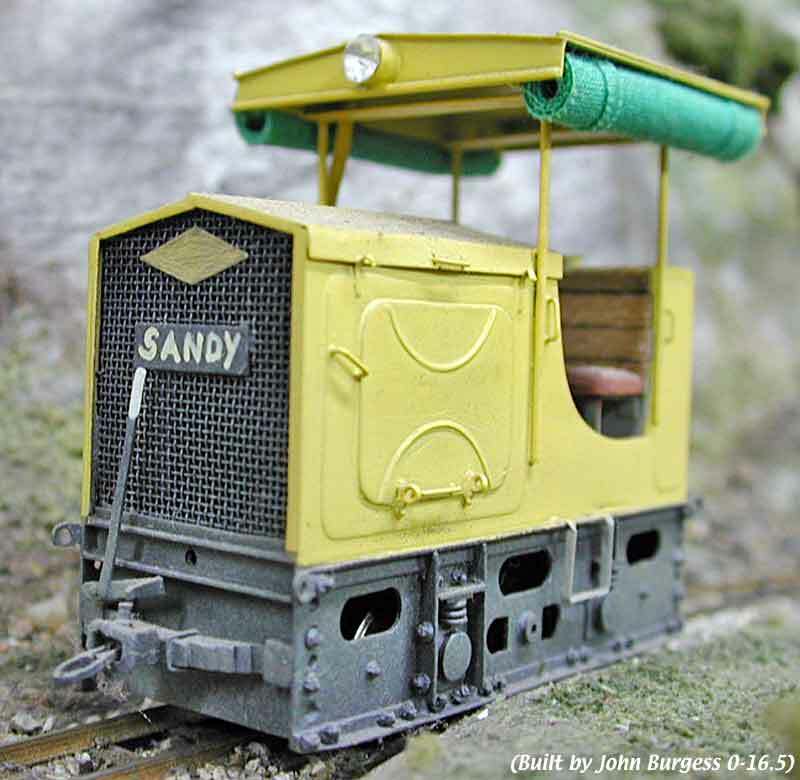 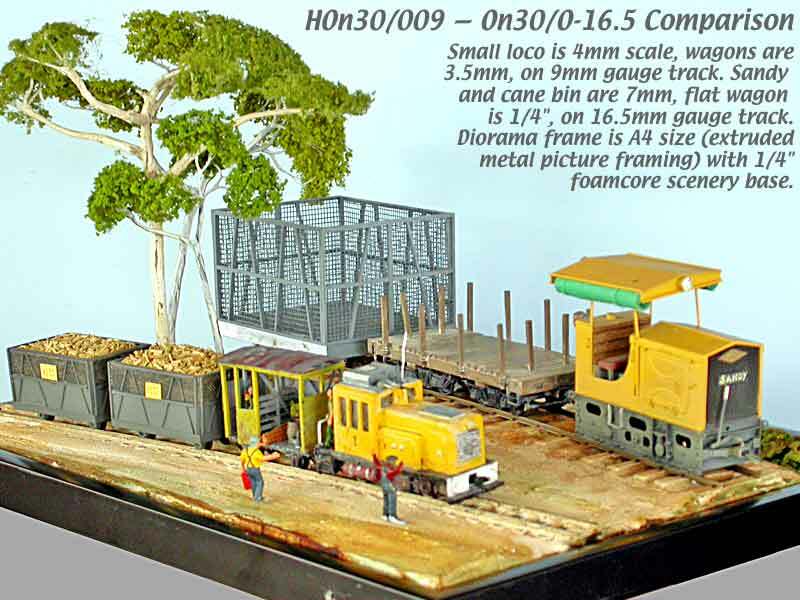 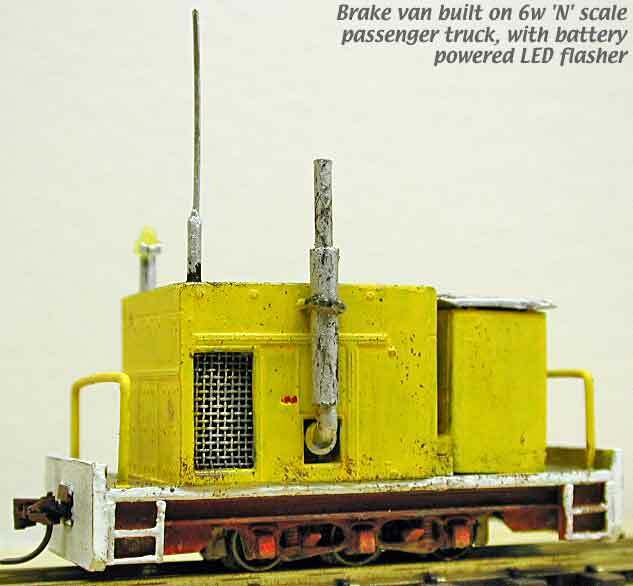 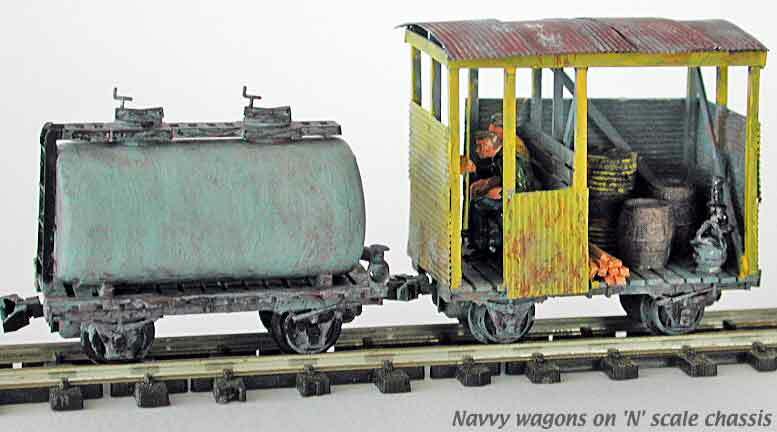 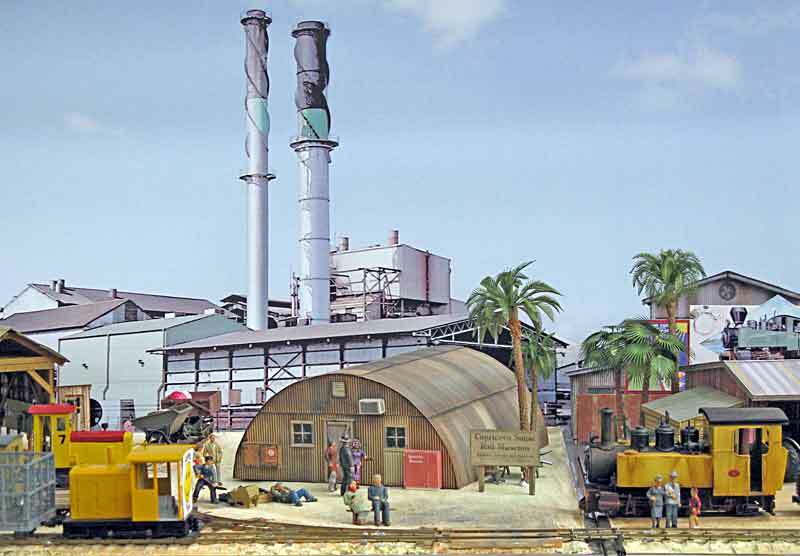 Some models are 7mm (1:43 or O-16.5) scale, but they are seldom operated or displayed with the smaller On30 equipment because of the size differences. 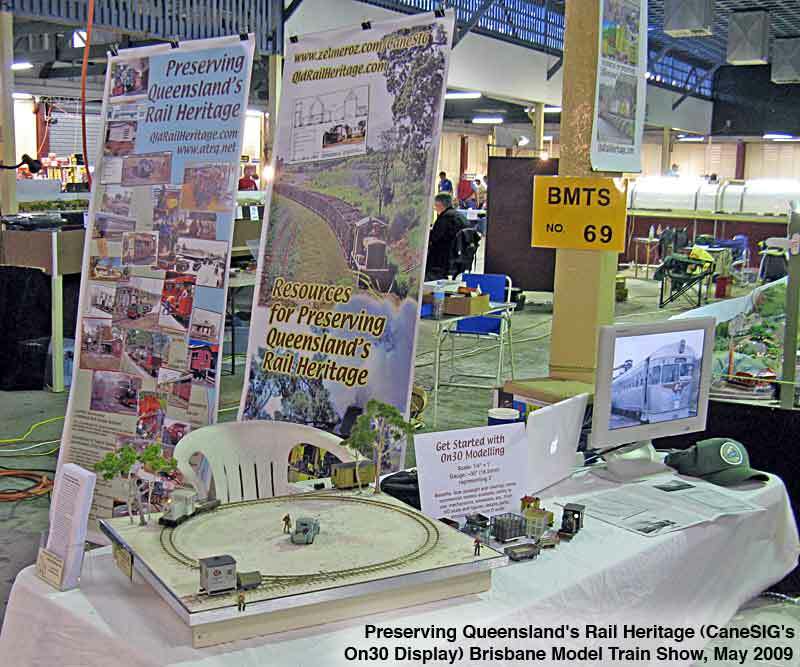 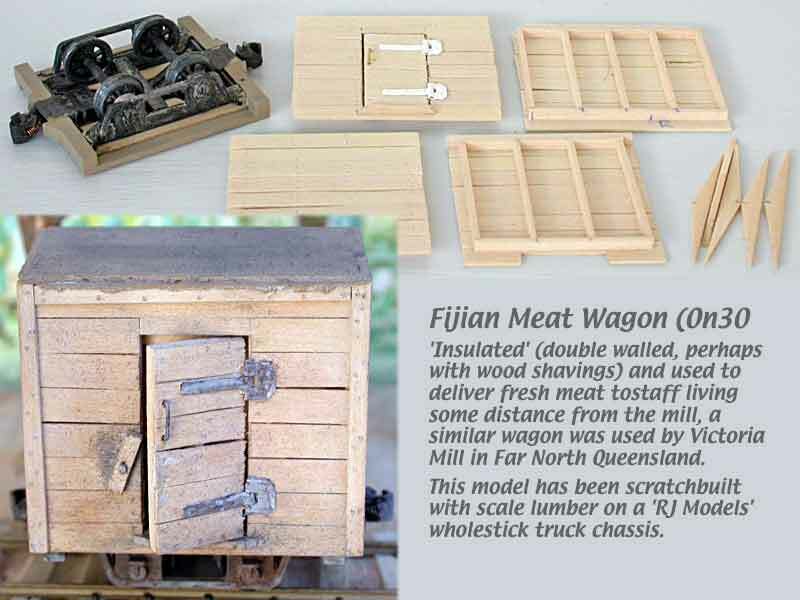 My personal interests are broader than just Queensland's sugar cane railways, thus I've built several shire tramway and Fijian prototype models. 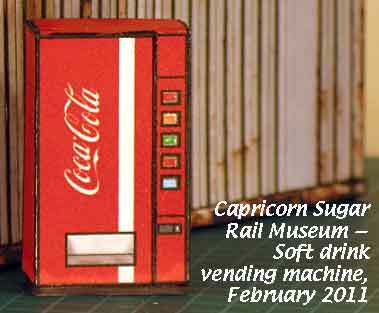 For me they are simply museum artefacts gathered from other similar rail operations. 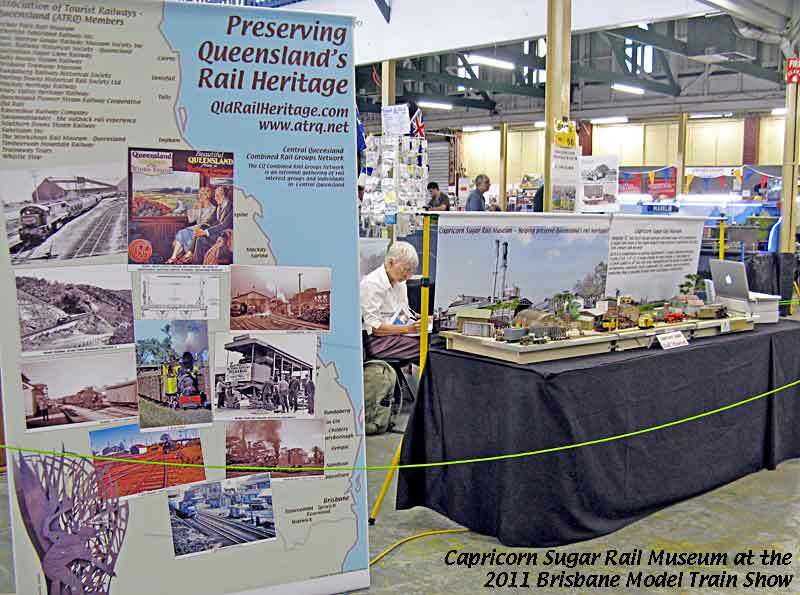 A similar rationale exists for the Queensland Rail (QR) origins of many of the structures, etc., with the added benefit that viewers are likely to recognise them as appropriate for a Queensland setting. 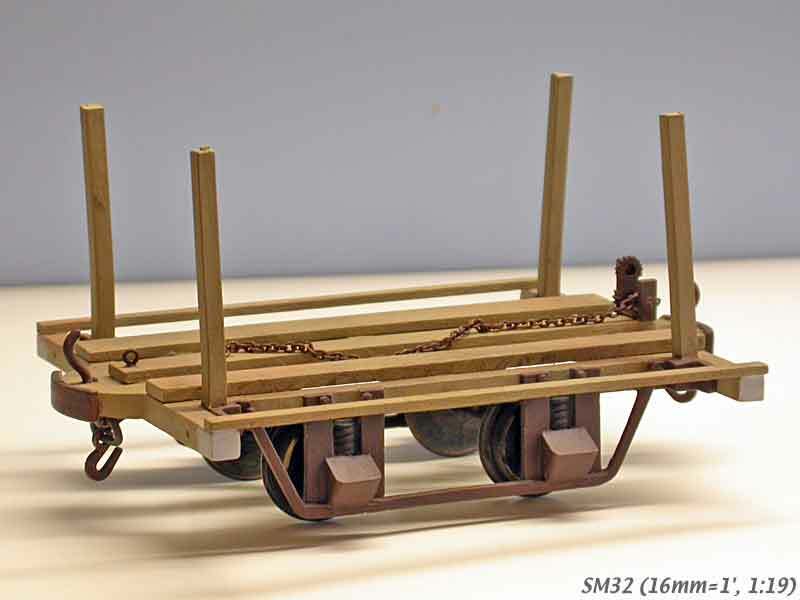 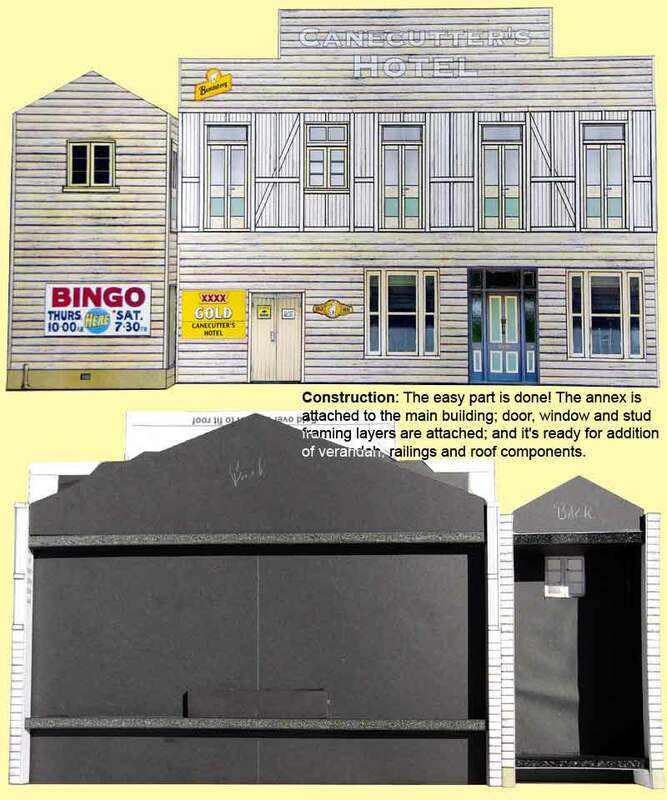 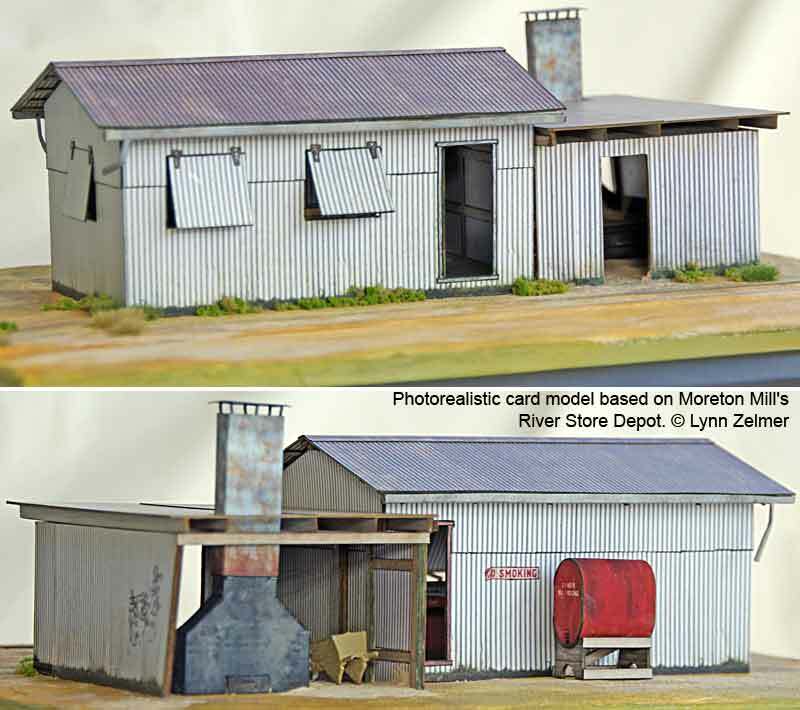 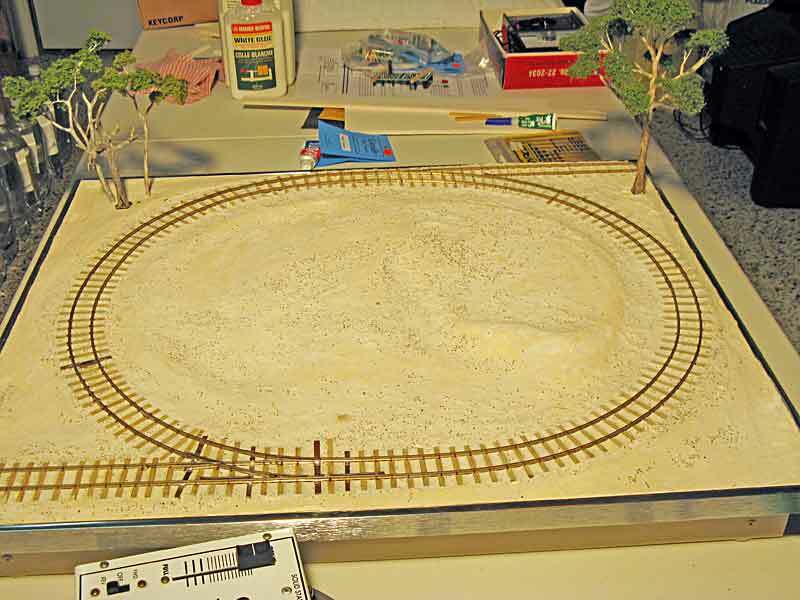 I also have several large scale models: SM32 (16mm=1') and 7/8", potentially for use on an outdoor layout. 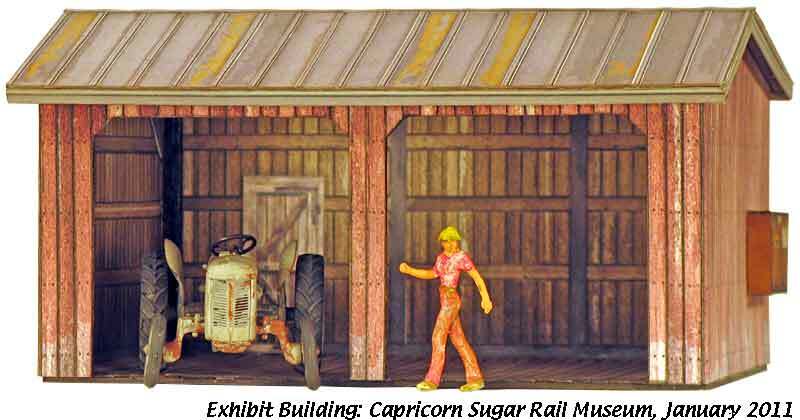 There are over 11,000 images (photos, drawings, etc.) 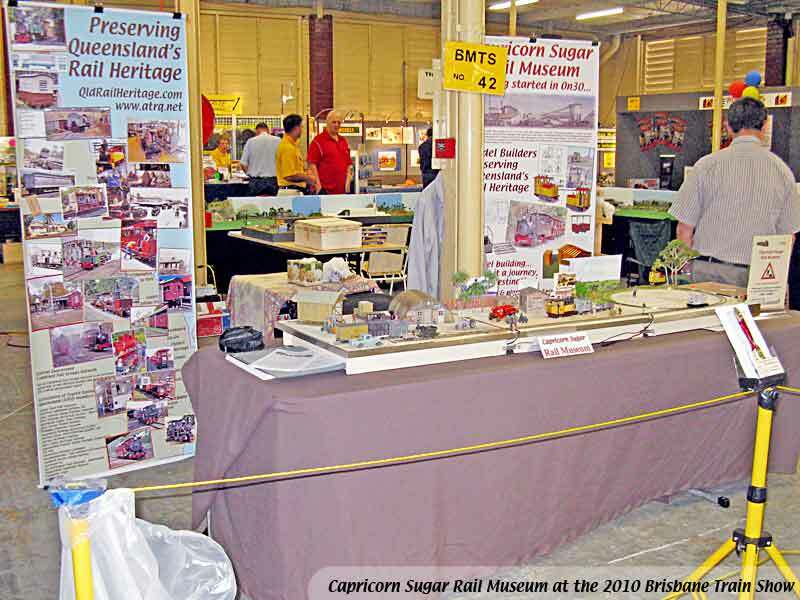 in the online rail heritage Image Collection. 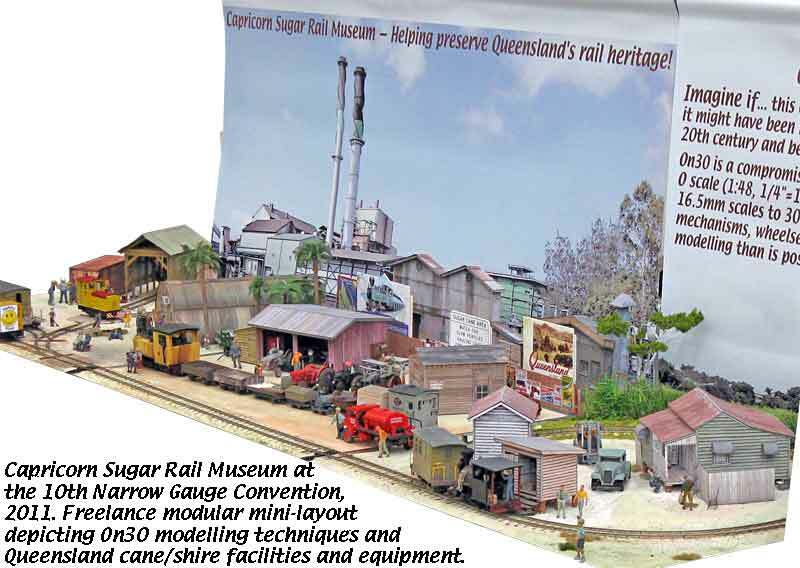 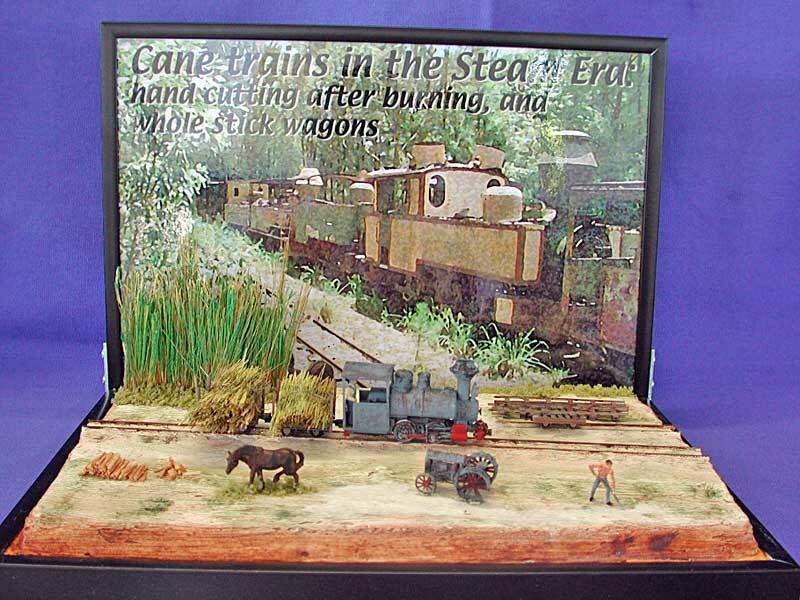 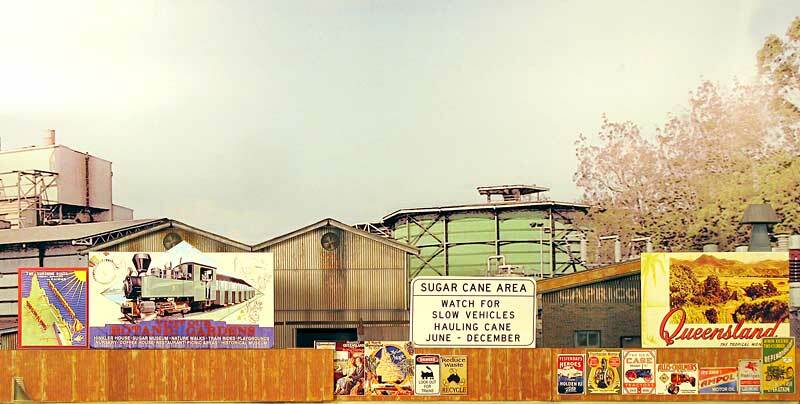 More than half relate to Queensland and sugar cane railways. 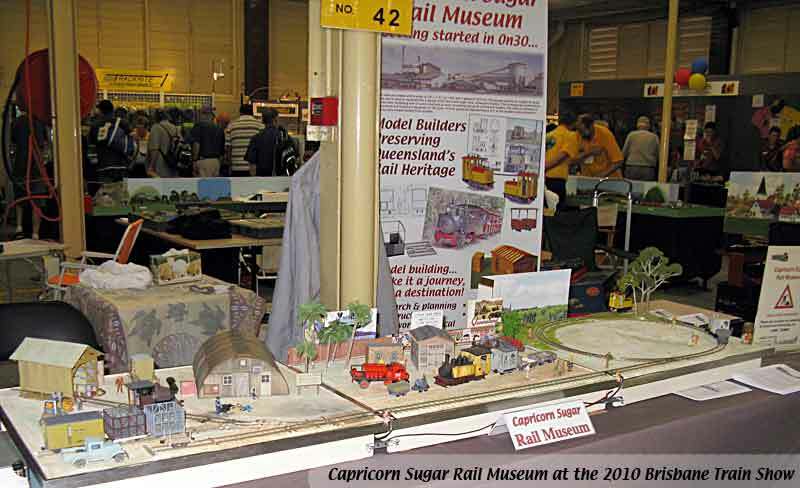 Image captions are searchable. 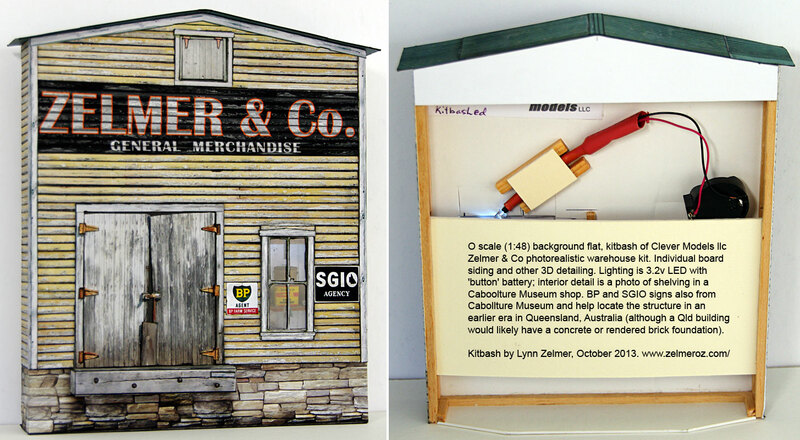 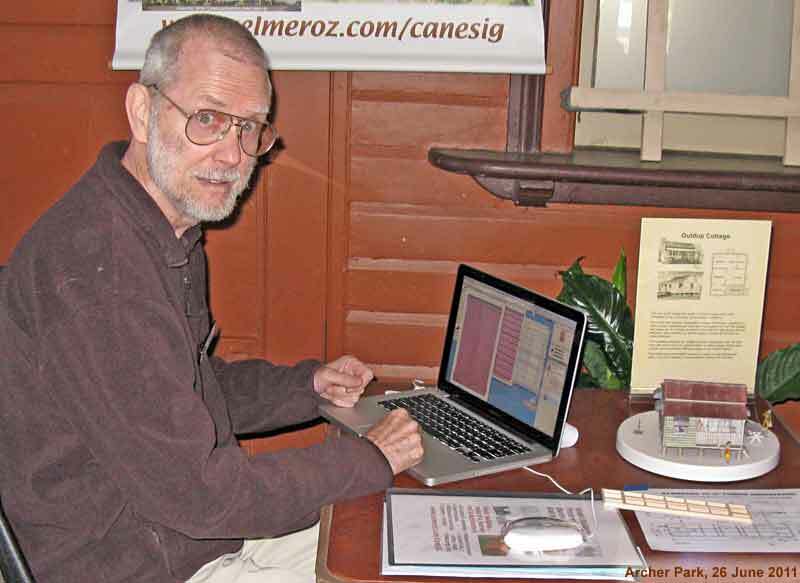 Site/content copyright © A C Lynn Zelmer or as marked. 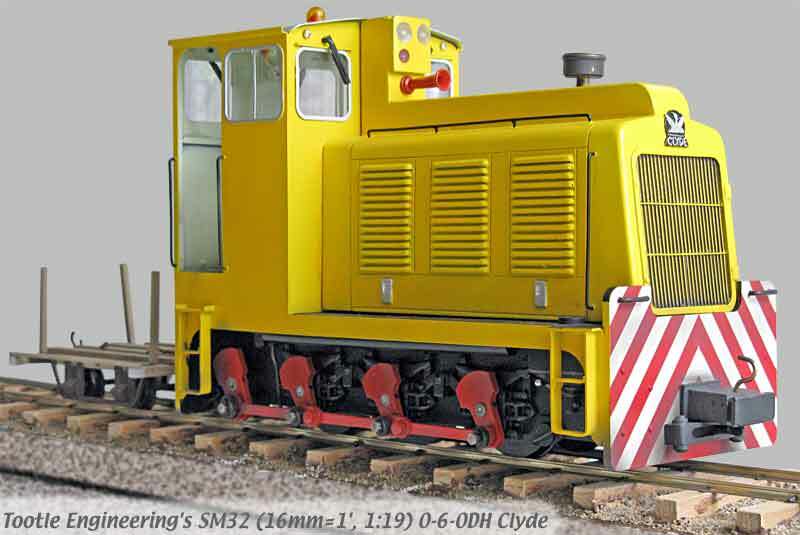 E-mail: Lynn @ ZelmerOz.com last updated 7 August 2016 [lz].